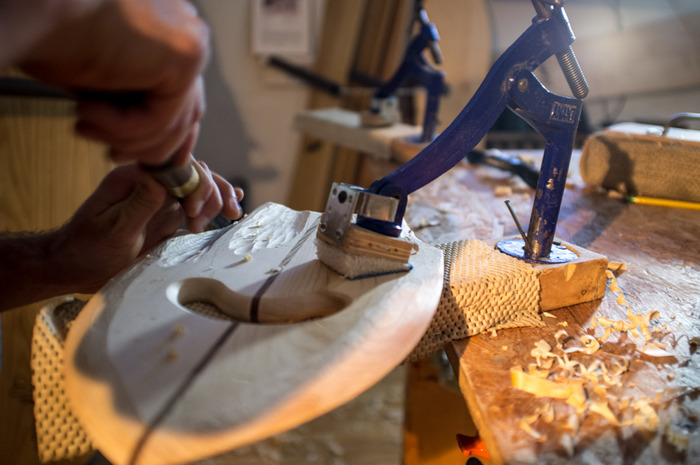 Their project is simple enough: “To share the craft of wood board-building with the West we need a truck we can sleep in, towing a trailer/mobile classroom.” Making it a reality though is going to take your help. 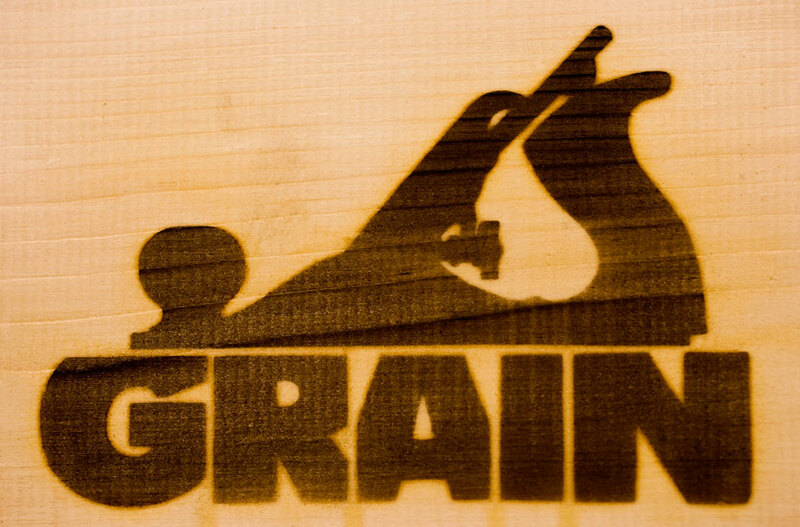 This is why Mike and Brad from Grain Surfboards have launched a Kickstarter campaign called “Truck-n-Trailer” Mobile Surfboard-Building Classroom. They asked themselves, asked ourselves “how can we share the rewards and the fun and the ethos of what we do with more people – especially young people?” The answer is a project to create a mobile classroom that they can take out West, to surfing’s mecca, and share their talents and experiences with as many people as possible. 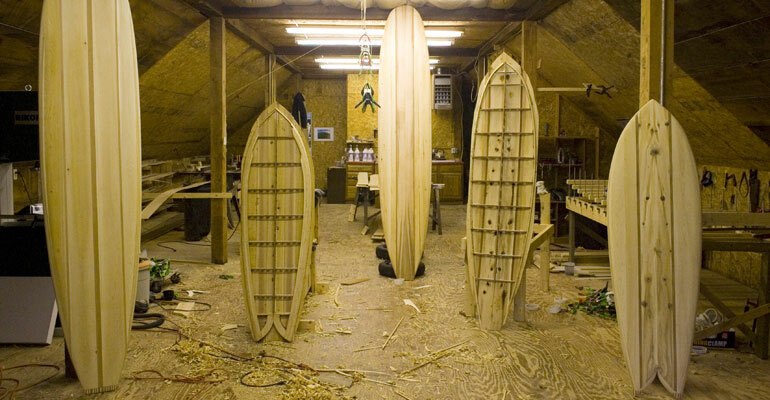 They have already received enthusiastic reception from three previous workshops they did on the West Coast (Portland OR, Encinitas, San Clemente and San Fran, CA) By sharing their methods of using locally grown, sustainable yield wood and organic, zero-VOC resins to aim to build communities around their passion for creating something of beauty, more sustainably built, and with the kind of longevity that keeps products from ever seeing a landfill. Head over to their Kickstarter page for more info and while you are there, give’em a buck or two. Every bit helps and in the long run, the rewards gained benefit us all. 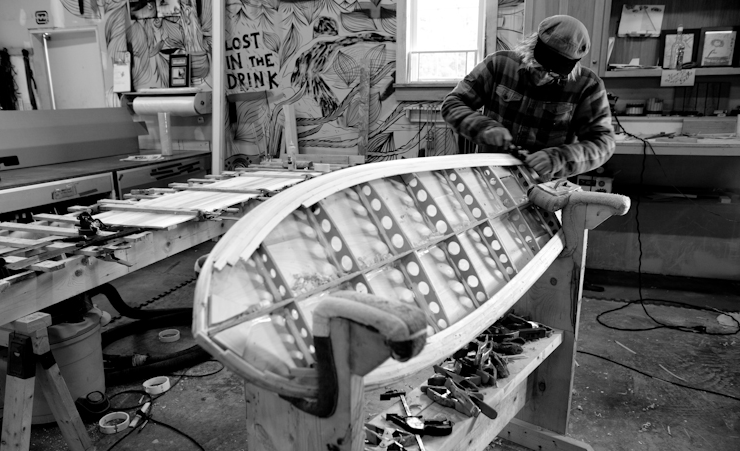 This entry was posted in Good Wood... and tagged Grain Surfboards, hand-made, Kickstarter project, New York City, surfboards, sustainable, Vacationland, wood, York. Bookmark the permalink.